I love you not because of what you have but because of what I feel. 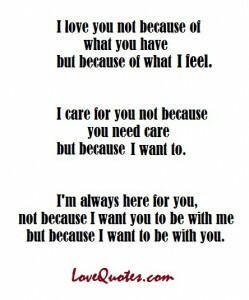 I care for you not because you need care but because I want to. I'm always here for you not because I want you to be with me but because I want to be with you.